Item Number: 111-14-2120C 15315 Actual Weight: 0.4 lb. 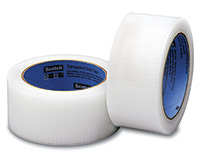 3M duct tapes are great for patching, repairing, and sealing just about anything. Clear duct tape makes repairs less obvious and easily tears by hand.